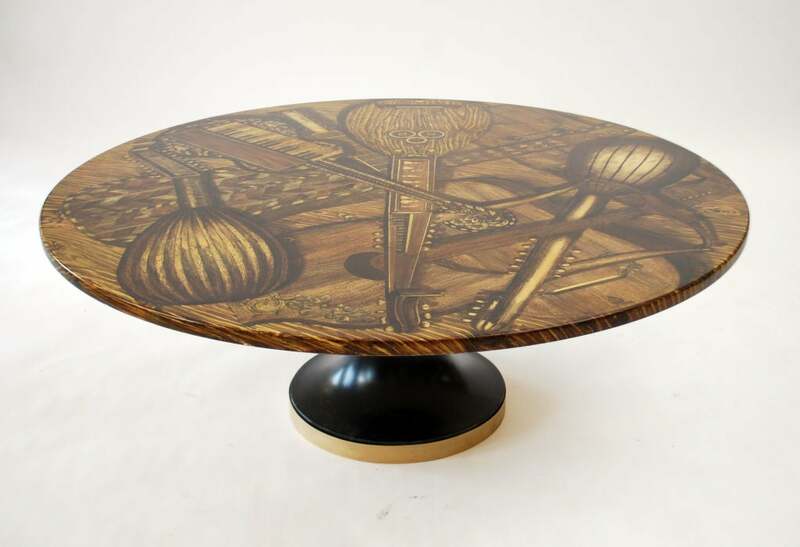 Coffee table by Piero Fornasetti. 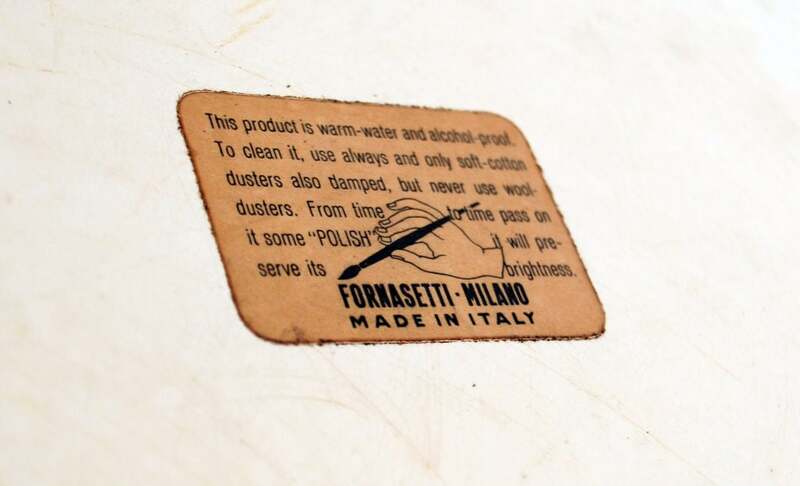 Fornasetti Milano label. 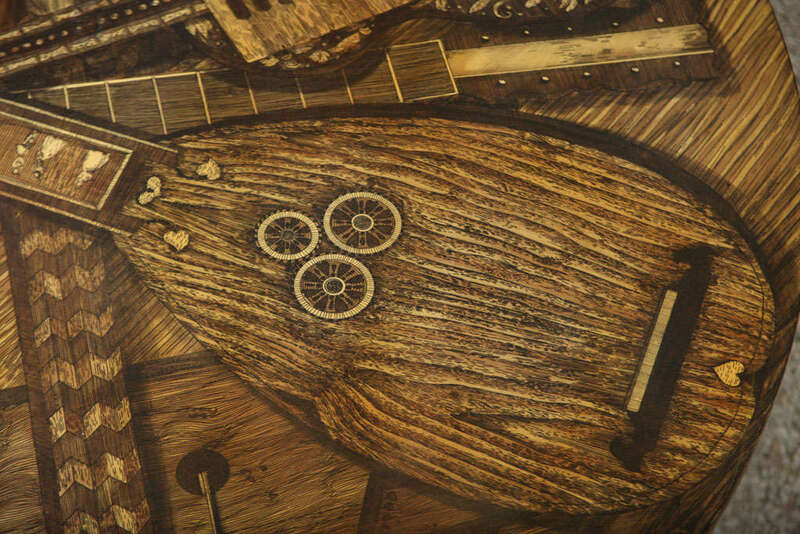 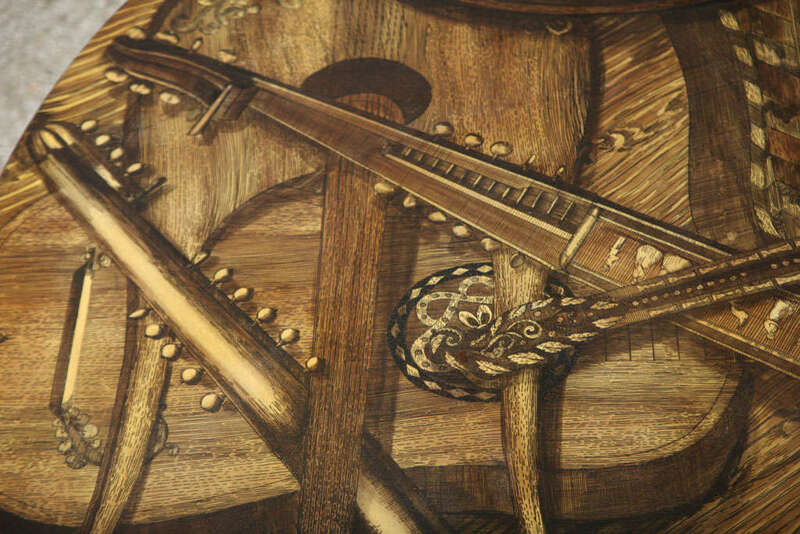 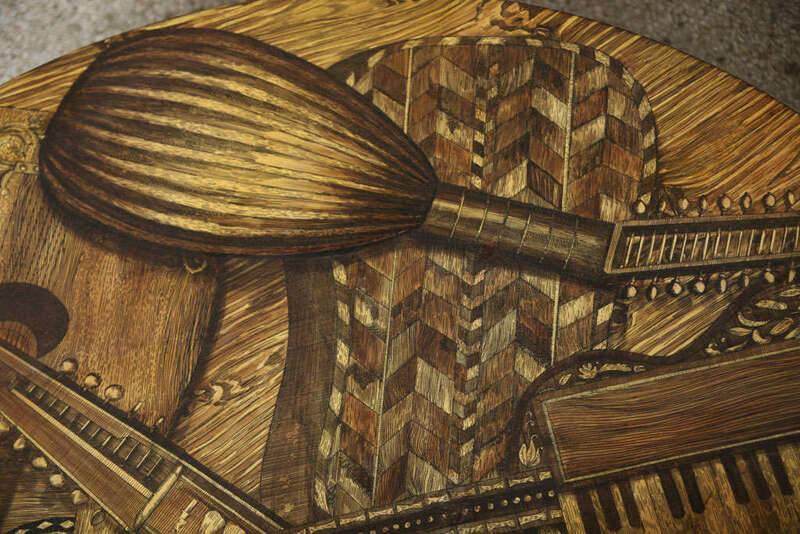 Materials: Lithographic transfer print on lacquered wood, enameled metal. 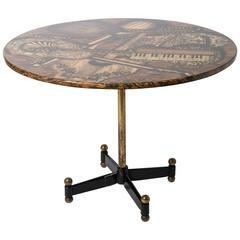 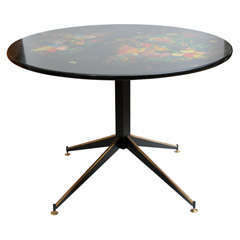 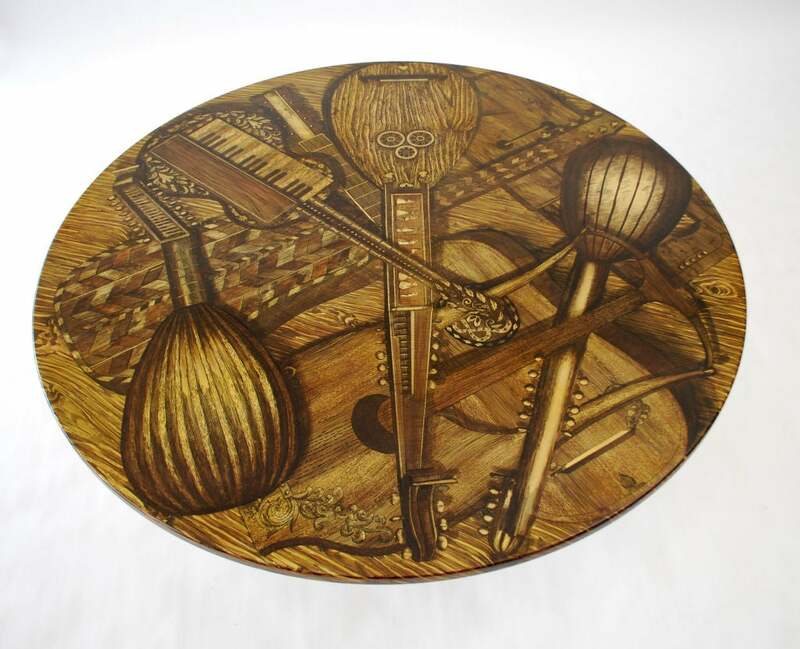 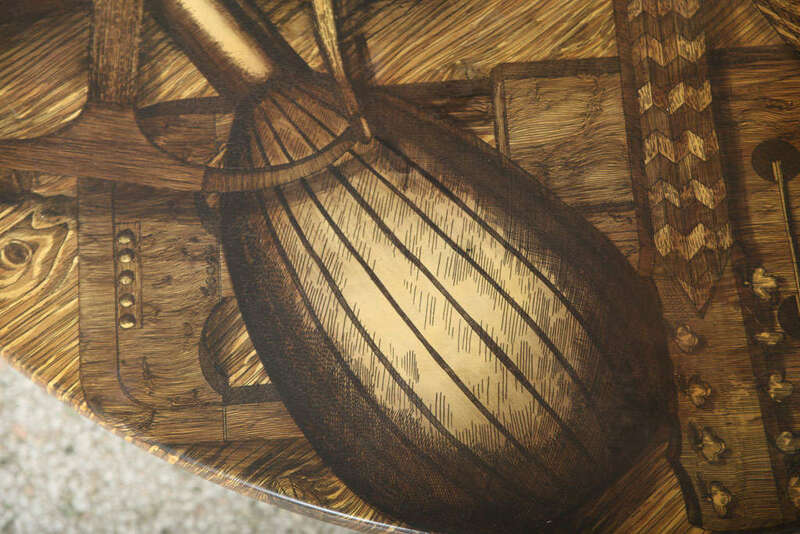 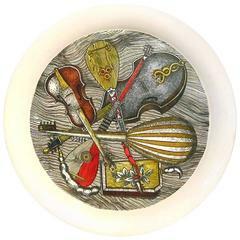 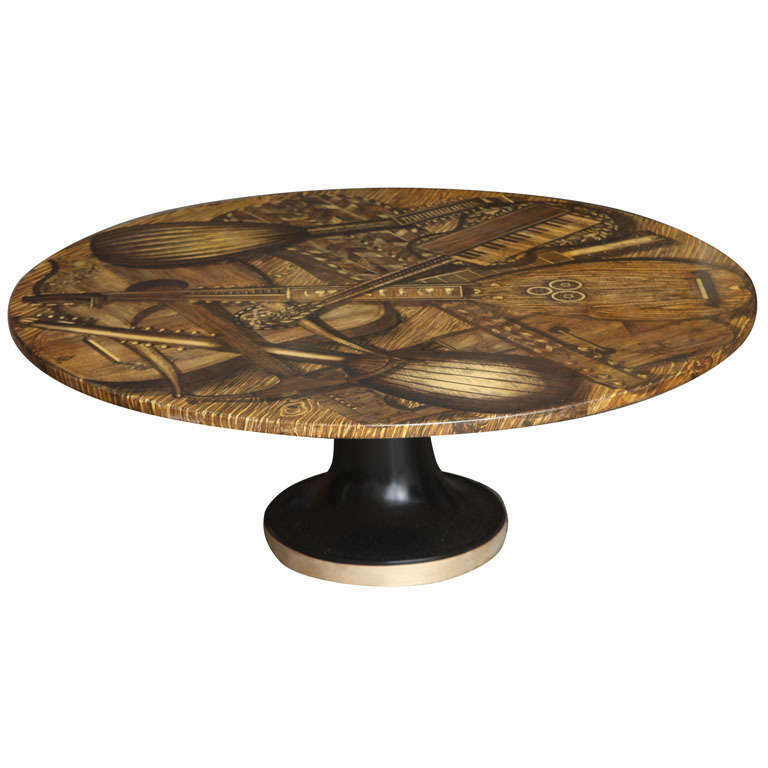 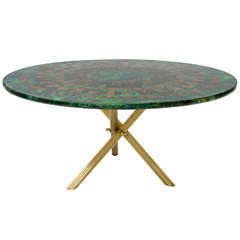 Piero Fornasetti Cammei Table A circular composition depicting roman coins on a faux marbel background. 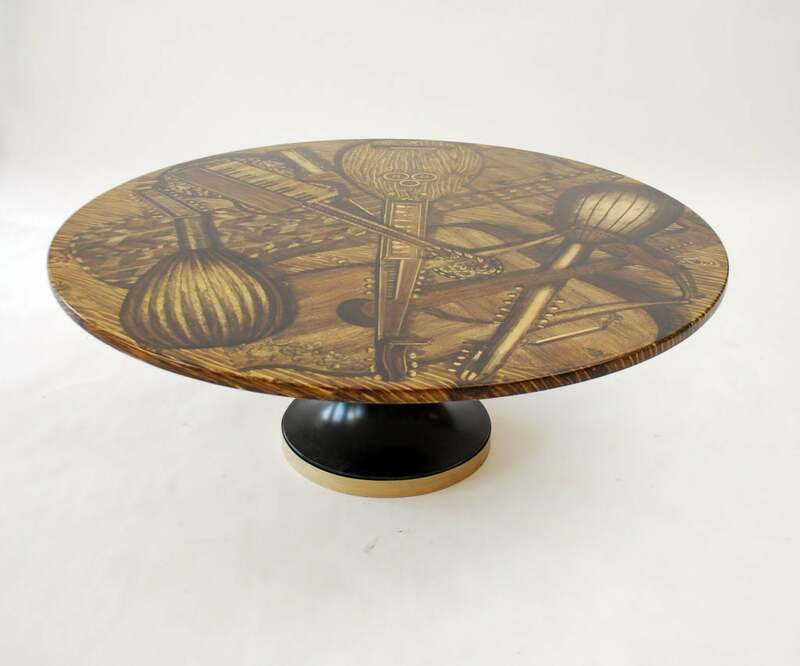 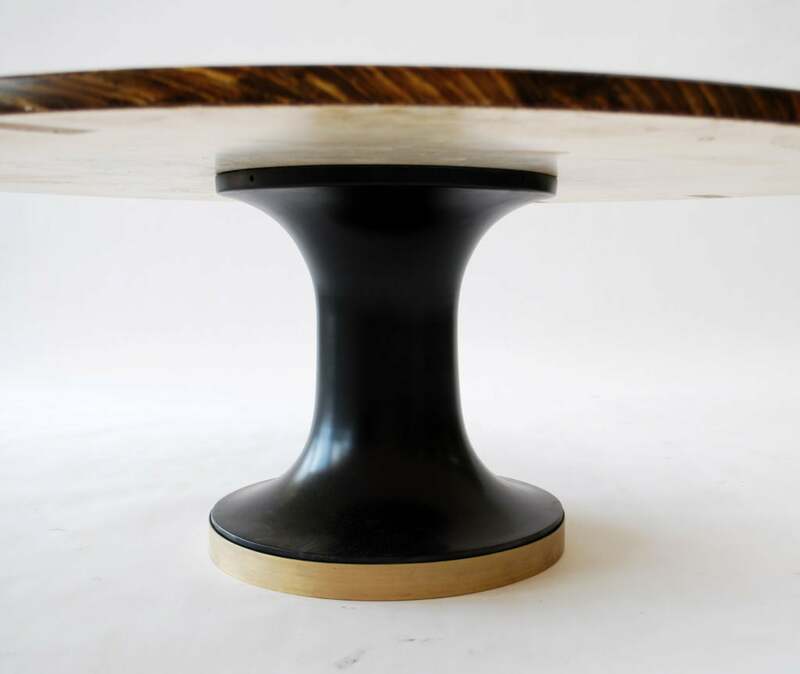 Pedestal with antic black and gold medallions from Piero Fornasetti. 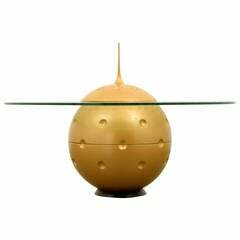 Wonderful table from the 1950s. 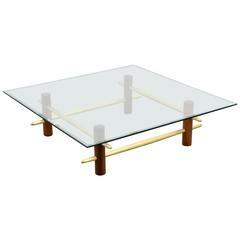 Four tapered legs with brass detail leading up to a vertical shaft.